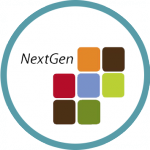 We are pleased to announce that Thomas County Schools, located in Thomasville, Georgia, has decided to enhance their existing school financial solution, NextGen, with Harris’ own Employee Self Service (ESS) application. Harris’ NextGen is a seamlessly integrated Enterprise Resource Planning (ERP) solution for the K-12 sector. The addition of the ESS application will enhance the employee HR experience with a user-friendly interface, to streamline day-to-day operations for their district’s accounting department.